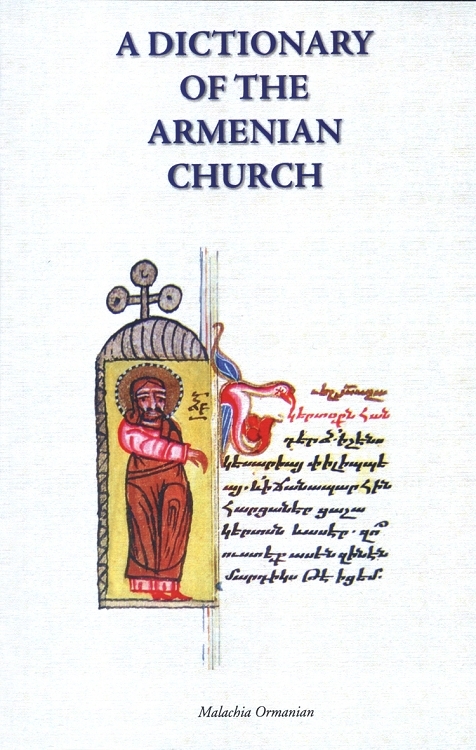 A Dictionary of the Armenian Church is an invaluable reference book that identifies, defines and explains the religious terminology used in Armenian church services. Originally published in 1905 by Malachia Ormanian--the Armenian Patriarch of Constantinople from 1896 to 1908--this dictionary was designed to make the Armenian liturgy and ecclesiastical traditions comprehensible to the faithful. Ormanian explains that he purposely refrained from writing a scholarly work. Instead he sought to write concise, explicit descriptions of religious terminology to which the faithful are often exposed, but which they might not necessarily entirely understand. The dictionary is divided into three sections--Feasts, Vessels and Vestments, and Nocturne. The entries in each section include the English word, the Armenian word and its English transliteration, followed by a detailed description. The word pajag is invariably used in place of the chalice and means any vessel, except a large one, from which one may drink any liquid, especially wine. The word is now so applied, while the "chalice" has been restricted to the cup used in the sacrament of communion. Moreover, "chalice" denotes only the physical aspect of the vessel, but the work pajag refers also to the contents, as in the cup used during the sacrament of Holy Matrimony or even after the mystical rite of Holy Communion.